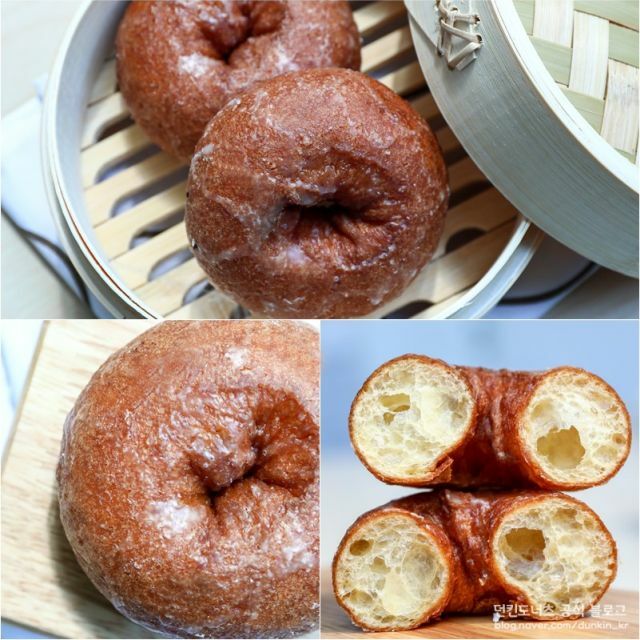 As part of a promotional tie-in with Kung Fu Panda, Dunkin' Donuts is frying up new, plump donuts over in South Korea that appear as if they're meant to be dumpling-like. The new donuts come in either a glazed ring donut or as a cream cheese-filled ring donut sprinkled with powdered sugar. While the donuts may look fat like Po (the titular character from the Kung Fu Panda movies), the texture of the donuts is described by the brand as "cloud-like." 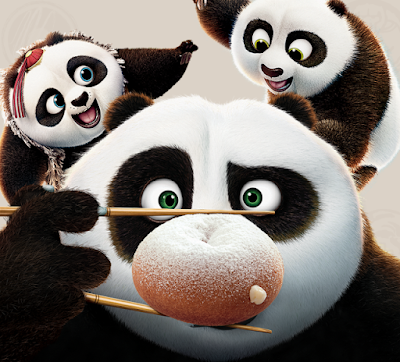 Perhaps it's a nod to Po's kung fu leaping ability? As you can see from the picture above, the donut contains fairly large air pockets. Photos via Dunkin' Donuts South Korea.